I don’t mind eating the same thing twice if I can disguise it in another form. 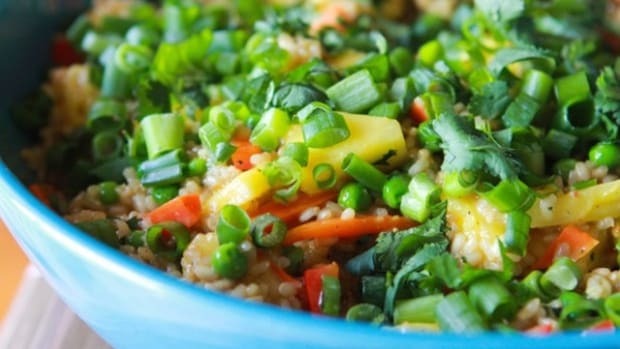 Fried rice is one of those recipes that allows you to use up your leftovers but you don’t feel like you are eating leftovers! Remember that yummy Chicken & Rice Soup. 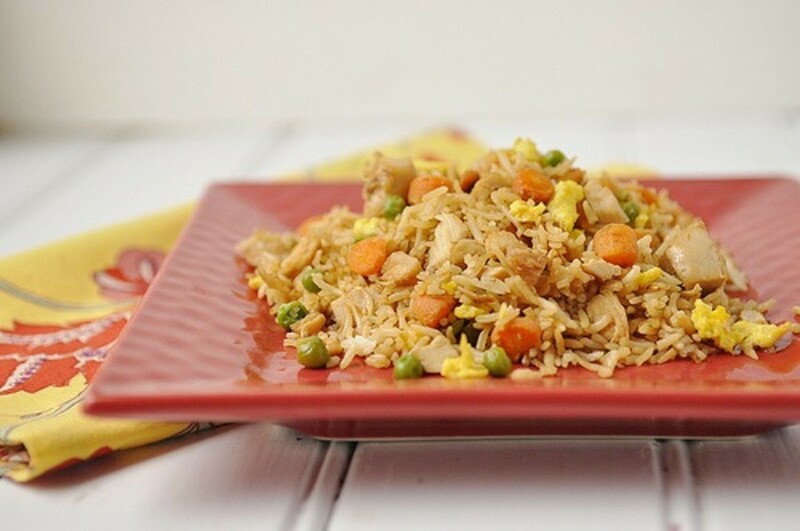 A great way to use up leftover rice and chicken and not feel like you are eating leftovers! 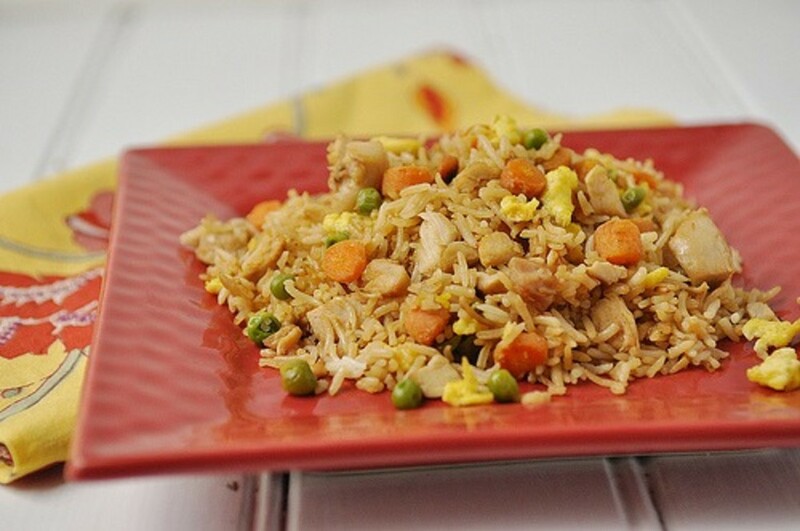 Well Fried Rice is another great way to use up that leftover rice and chicken or really any leftover meat. It works great with pork, ham or bacon too. You can change it up with the type of vegetables you add in too. You can use what’s in your refrigerator. I used carrots, onions and some frozen peas (although I pick the peas out!) The peas add some nice color though!! 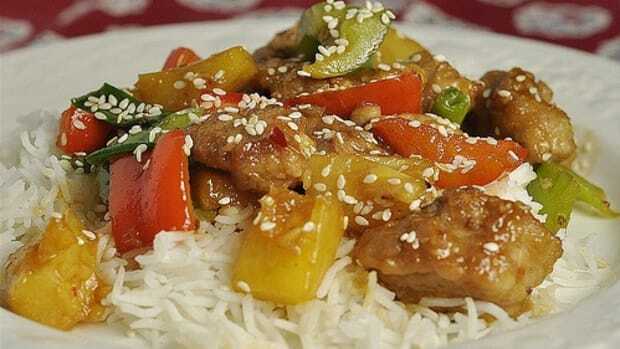 All you have to do is saute the vegetables until tender and then add in your meat. 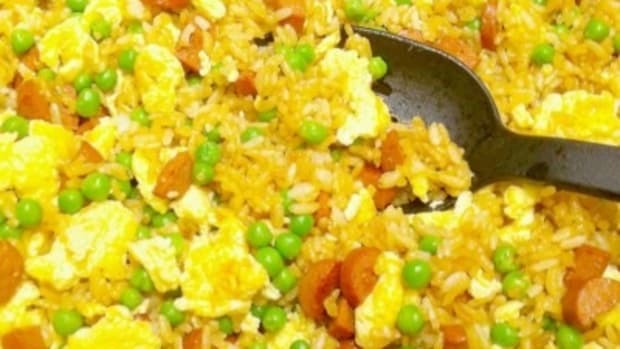 My favorite part of the fried rice is the egg that is in it. 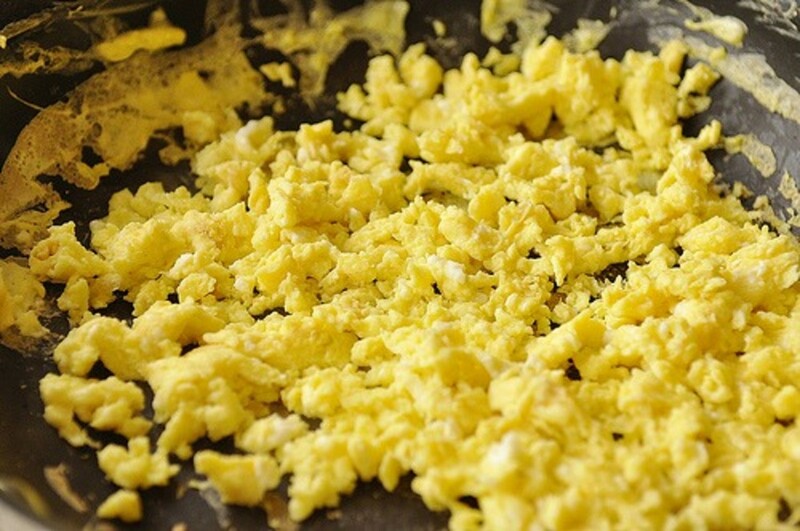 Just scramble up a few eggs and throw them in too! Of course you will need some rice too. I like my rice to be chilled so I use it right out of the refrigerator. 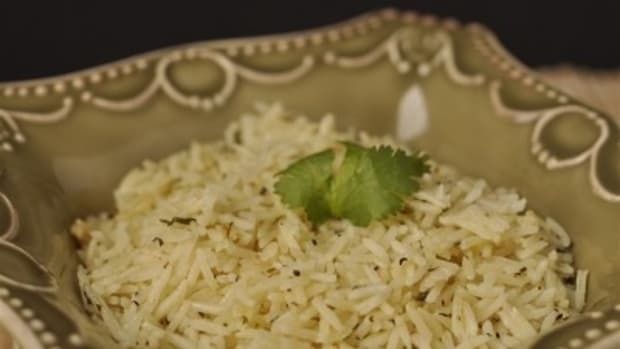 If you are cooking rice specifically for this dish, not leftovers, try and let your rice chill a bit or at least come to room temperature. I find that it sticks much less if it isn’t warm or hot. After I add in the rice I just add soy sauce basically to taste! 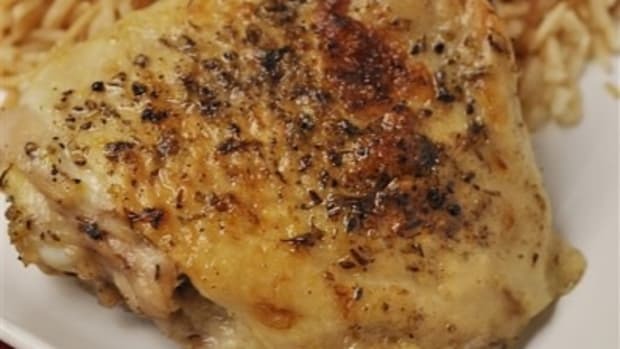 This is one of those non-exact recipes. Just add in however much you like and how much tastes good. Taste as you go. Meat of choice (chicken, ham, pork, bacon), cooked and cut into small pieces. Cooked and cooled rice, 2-3 cups or more depending on how many people you are feeding. I use basmati or jasmine. 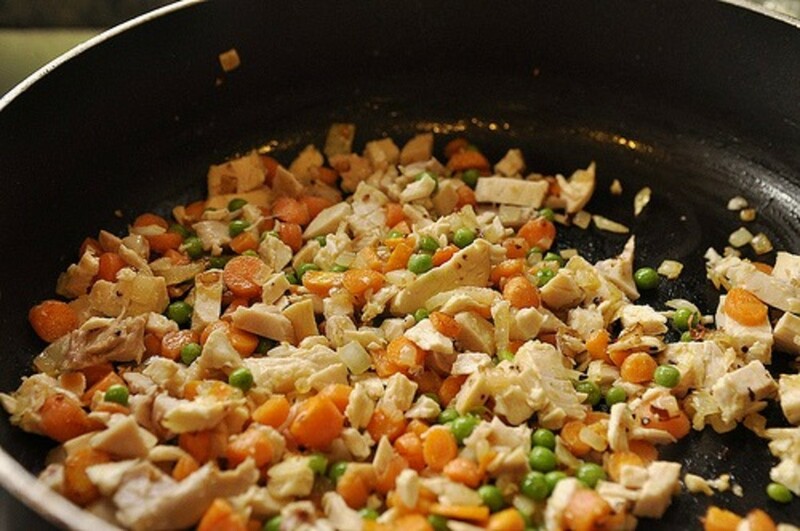 Saute vegetables in olive oil until soft and then add in cooked meat. Add in rice and stir until well mixed. Add in eggs. Add in soy sauce to taste, stir until well mixed. Sprinkle with a little garlic powder if desired. 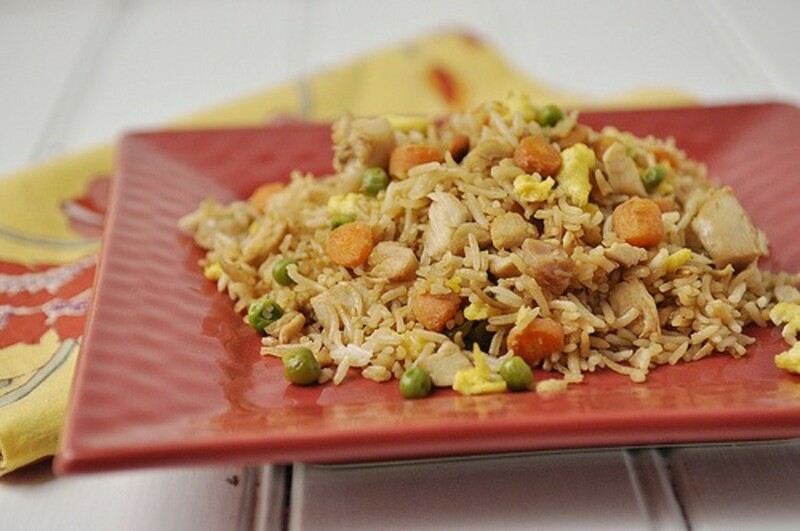 Fried rice is an easy recipe to throw together and is the Asian equivalent of leftover hash. 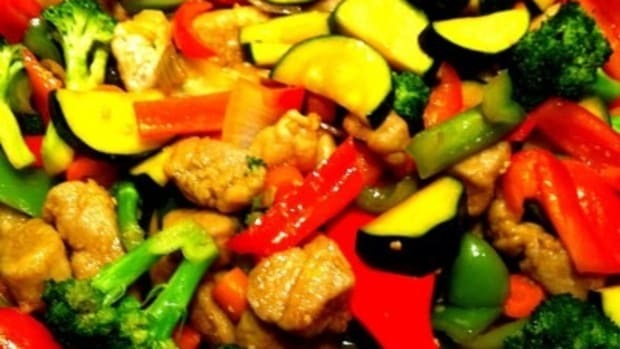 When I need a quick dinner option, making a stir fry is my go-to meal. 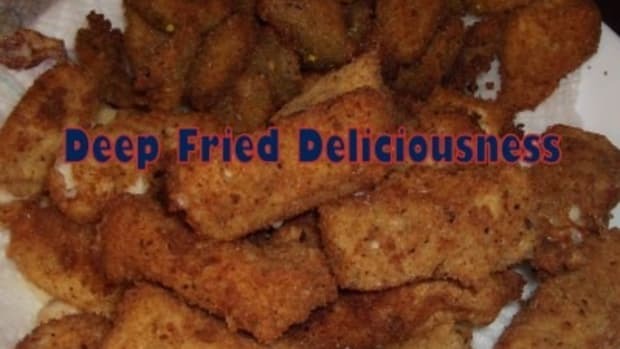 I love fried food, and when I discovered I could make it myself I was so excited to do more! For years I was strictly a white meat kind of girl.